Here is everything you need to know about the upcoming Force Gurkha Xtreme. Very recently, the brochure of the Force Gurkha Xtreme was leaked, containing all the information with regards to engine specification, dimensions, features etc. 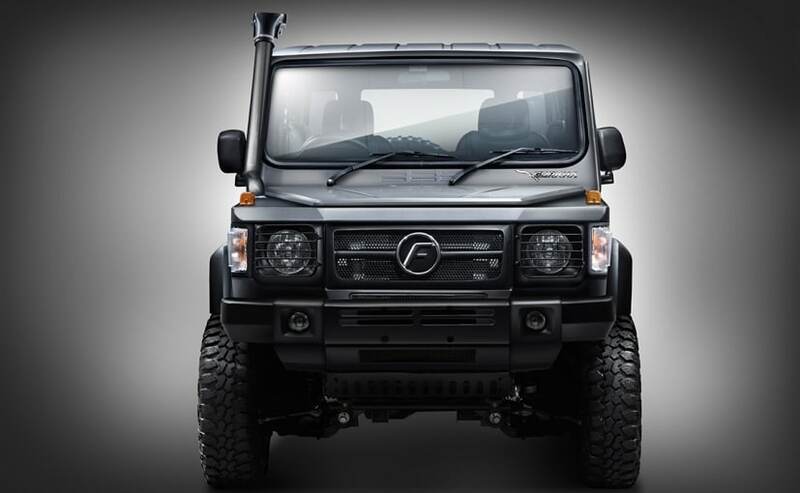 For the uninitiated, Force Motors will soon be launching the Gurkha Xtreme in India. It will be top-spec variant of the Gurkha in India and gets a host of cosmetic and mechanical changes. It will be going up against the king of off-roaders, the Mahindra Thar upon its launch. So what all is new and what all has changed in the Force Gurkha Xtreme. Here is everything you need to know about the soon to be launched Force Gurkha Xtreme. The biggest update on the Gurkha Xtreme is the engine. While the current Gurkha gets a not-so-powerful 2.5-litre engine that makes 84 bhp and 230 Nm, the Gurkha Xtreme will get the Mercedes-Benz derived OM611 2.2-litre common rail diesel unit that makes close to 140 bhp and 321 Nm of peak torque. The engine will be paired to a 5-speed manual gearbox, which again, has been sourced from Mercedes-Benz. Right! The first question that comes to the mind when discussing the dimensions of an off-road vehicle is the ground clearance. The regular Gurkha, the 'Xplorer', has a ground clearance of 210 mm while the Xtreme has a ground clearance of 205 mm. Similarly, the track of the Xtreme is 1,530 mm which is a good 40 mm more than that of the Xplorer. The approach angle of the Gurkha Xtreme is 44 degrees while the departure and the ramp break-over angles are 35 degrees and 28 degrees respectively. The Gurkha Xtreme gets slightly wider tyres than the Gurkha Explorer. Not much is known at this point but the transfer case has 4x4 with high and low ratios (of course). Additionally, you can also lock the front and rear differentials in case the going gets really tough. The Force Gurkha 5-door Xpedition is priced at ₹ 9.15 lakh while the 3-door Xplorer is priced at ₹ 10.23 lakh and the 5-door Xplorer is priced at ₹ 11.9 lakh (ex-showroom, Delhi). Force will certainly price at the Xtreme at a premium. So we can expect the pricing to be somewhere between ₹ 12 lakh to ₹ 13 lakh.